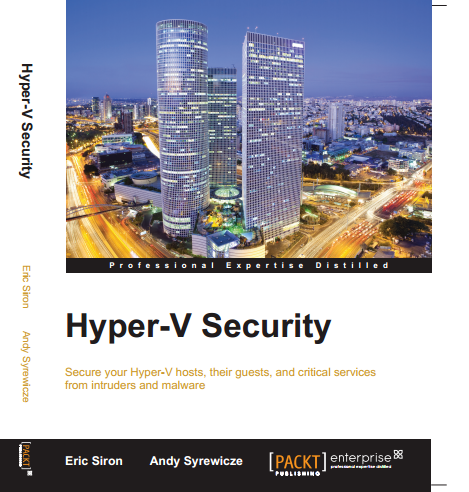 Quite a while i’ve not post about Hyper V content. Let look into several command that you should execute when formatting disk. Wait, won’t it be easy using Computer Management snap in to format a disk. Well, you’re right but…you will not have Computer Management when Hyper V host machine is install with Server Core version. Hope this command come to handy when you format a disk either local or iSCSI LUN presented to Hyper V host. 3. We are going to format disk 3. Execute select disk 3 to select disk 3. * indicated disk 3 is selected. 5. View the attribute of the disk. Make sure the disk read-only is not set to Yes. 6. Create primary partition using the entire disk volume. That’s all. Easy and simple. This is my last post for 2010. Wishing everyone “Happy New Year 2011”. For those who has deployed DPM 2010, you would like to do Bare Metal Recovery on Windows Server 2003 and Windows Server 2008. 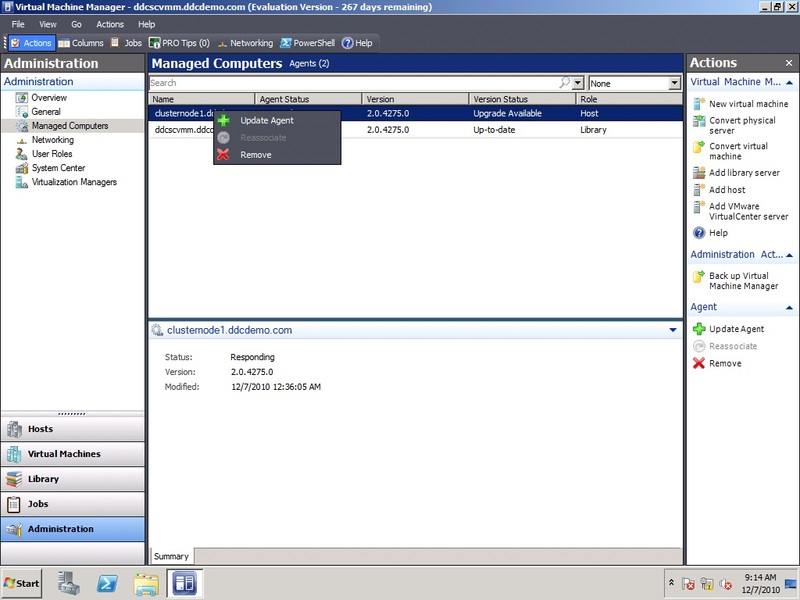 You would be able to do BMR on Windows Server 2008 using DPM 2010 once you have install Windows Backup Features. 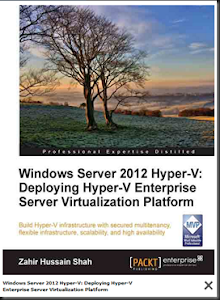 Now, how about Windows Server 2003? 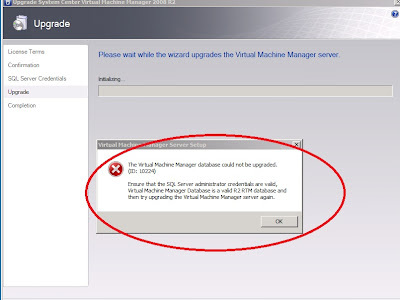 Well, you can’t use DPM 2010 to do BMR for Windows Server 2003. 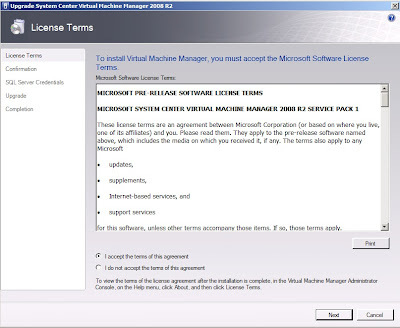 For those who still want to do BMR, you need to separately download SRT on Microsoft Technet- DPM 2007 software. The size is around 341MB and you need to install on Windows Server 2003 operating system. 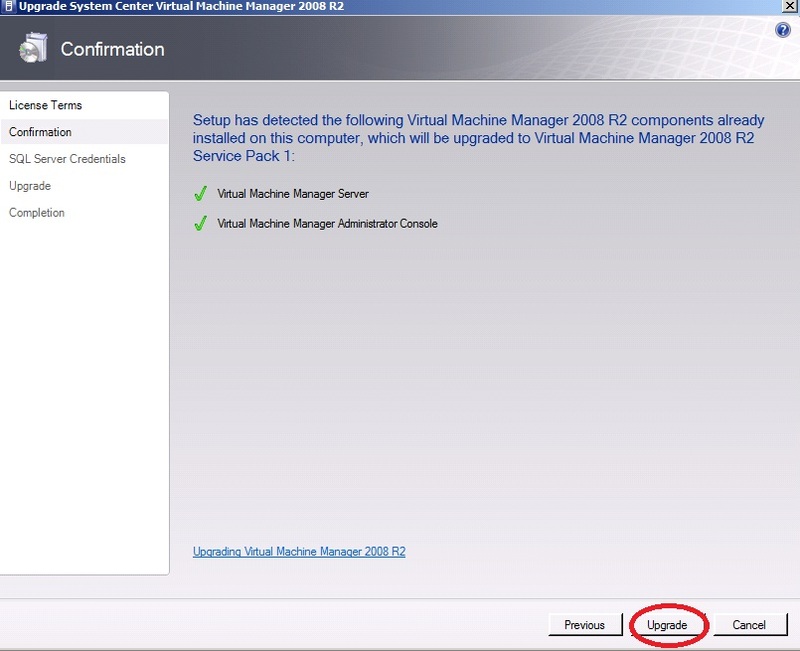 You can’t install together with DPM 2010 which resides on Windows Server 2008 R2 as this is unsupported. The installation of SRT (System Recovery Tool) is quite straight forward and configuration is easy as well. Here is some basic configuration that you need to perform. 2. Connect to Active Directory domain with valid domain authentication. 3. Create a schedule that you want the SRT to do recovery set. Note: – SRT has it own recovery set and different from DPM recovery. 4. Add Computer into the schedule and create recovery set. The computer should be running Windows Server 2003. DPM SRT agent will automatically install into target computer. You need to make sure File and Printer Sharing is enabled. Wait until the recovery set is complete and is successful. 5. Create a Client Boot Disk (SRTBootClient.iso) from DPM SRT Console. 1.Make sure the original machine is down and offline. 3. Wait to get IP address configuration or configure the ip address. 4. 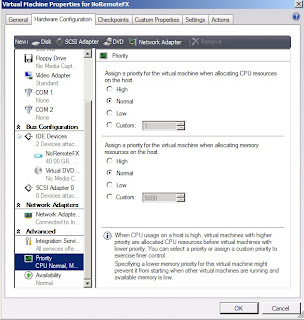 Open Recovery Center on SRT VM and select the computer that you want to recover. Select Rollback system options. Follow the wizard to complete the recovery. Once complete, a HTML report will be displayed and target machine has rebooted. Note:- The target machine should has identical hardware especially hard disk size should be bigger than original machine. Part 1 – Scenario 1 and 2 (This section). Now let look into how to recover Exchange 2010 Mailbox. Use Protection tab and create a protection group. The wizard will guide you to complete the step. The only thing that you should take note is ese.dll and eseutil.exe need to copy to C:\Program Files\Microsoft DPM\DPM\bin folder. If you did not, you will get below error message. Log only when exchange is running DAG. Now, here got different scenario of recovery. Let look into the most common first before we go deep. Recovery not possible unless you recovery the user account first using System State recovery. Each user account has unique SID and you can’t create the same name of user account because the the system will create a new SID. 1. User account and Mailbox account is still intact (not deleted) but message has deleted and the user would like to recover. Go to Exchange console > Organization Configuration > Database Management > Select RDB1 > Right Click > Properties > Maintenance tab > Tick This database can be overwritten by a restore. 3. Use DPM to recover a mailbox. Example: Test1. Before that, make sure you have created several recovery point. You cannot restore from the latest recovery point. Once you have done that, login to Test1 account and delete some email. The status is listed “Online” mean the mailbox is still intact. Complete the wizard to finish the recovery. 6.Check that email message has restore using OWA. This completed Part1- Basic recovery of mailbox when Mailbox is still intact. Do you want to know more? Click here to check on Part 2. I just came back from Sri Lanka which completed a DPM project. During my project, i has updated the DPM 2010 to the latest QFE rollup. This QFE rollup has released on Nov 2010. Installation of QFE rollup is quite simple and you need to restart the DPM server after patching the server. Once the server has restart, go to Management > Agents tab to upgrade the rest of the protected server agents. The new agent version will be upgraded to 3.0.7706.00. The above path is also the new path for those who's perform manual agent installation. 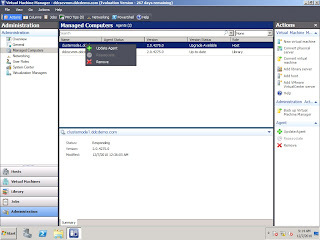 Well, title look simple but do you know how to connect to DPM 2010 SQL Server which included together as part of the installation. As everyone thought this is an easy way: Just use SQL Management Studio. Anyway, you’ve tested and enter the server name and authentication but still fail to login. 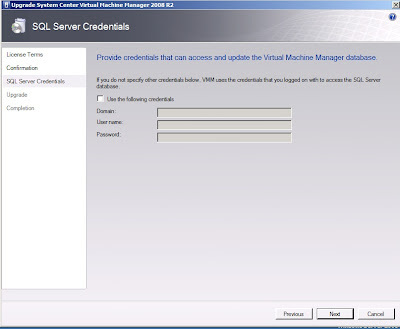 Here is an additional info that you require in order to successful login into SQL Server for DPM 2010. 1. Right click SQL Server Management Studio and select Run As administrator. Once you’re inside, then you can perform SQL administration work including creating report from predefined sql view. Since 25th is coming. I Wish “Merry Christmas” to www.ms4u.info visitors and Happy Holiday. 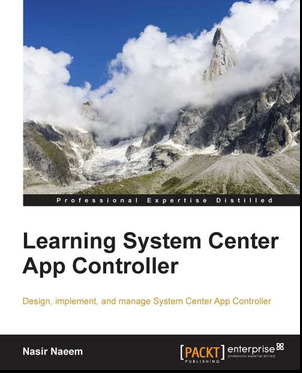 Today, on Day 1 of System Center Solution Summit 2010 (SCSS) at Monash University, i've presented a session to SCUG members. In this session i have shared about the updated information about SP1 RC which focus on Dynamic Memory and RemoteFX features. For those who did not have the chance to attend, you can view the slide and recording. Enjoy! Some people confused when set high availability for iSCSI NIC. If you choose NIC Teaming, then answer is wrong !!! • Public: Network card that is used for connectivity with external clients. NIC Teaming is fully supported on this interface. 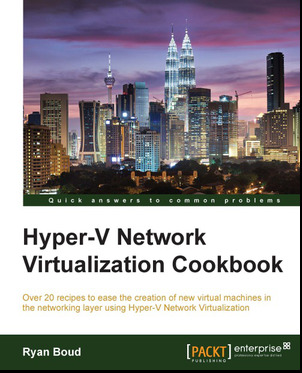 See Network adapter teaming and server clustering for additional information. • Private: Network card that is used for internal cluster communication. NIC Teaming is NOT supported on this interface. So since now you’re clear here is simple configuration that you should do on setting high availability on iSCSI NIC. 2. Execute iscsicpl command and click “Quick Connect” to connect to iSCSI storage. Repeat same process for all LUN. mpclaim -r -i -d "MSFT2005iSCSIBusType_0x9"
The server will restart . After restart, you can execute MPIOCPL. 6. Now add a second path to each LUN and leave the default Round Robin Load Balancing. 7. Click Add Session > Tick enable Multi path > Click Advanced and select the iSCSI NIC 2. 8. Once complete, click Devices and select MPIO button. You will see two path on the LUN which has set to Round Robin. Now you have successful learn on how to set high availability on iSCSI NIC. Well, I'm a bit sceptical when deploy anything in Server Core at the first place. How about HP NIC Teaming? 1. Go to hp website and navigate to hardware driver. 3. Then simply start hpteam.cpl from c:\program files\hp\ncu and do the usual GUI based configuration. Is that simple? Never guess that NCU is working in Server Core. Today, i and Kwan (MVP SCOM) has participated in Virtualization and Security Day 2010 @ Monash University. 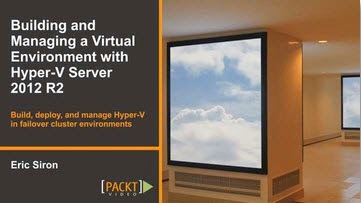 We have presented Hyper V R2 Zero to Hero Demo. Here is the slide and recording of the session. When i try to integrate SCOM with VMM, i have encountered error ID 10207. 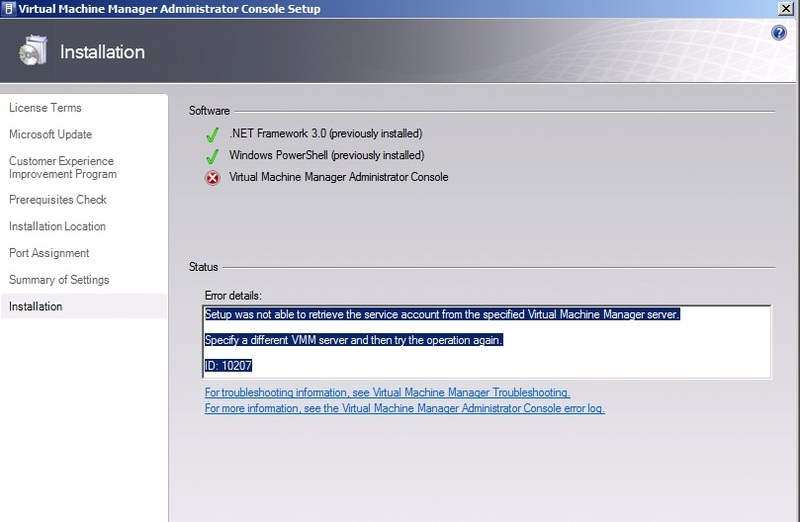 This issue occur when i'm using local service account for VMM Service. 1. 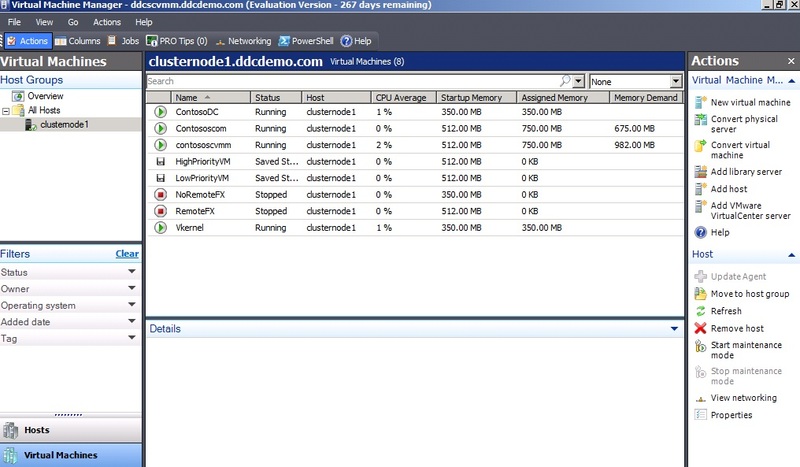 On VMM server, execute ConfigureSCPTool.exe -Install . This is located in SCVMM CD under \amd64\setup. 2. 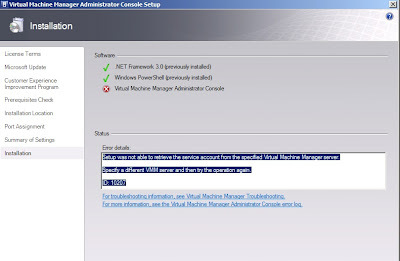 Proceed to install "Configure Operation Manager" on SCOM server using SCVMM CD. 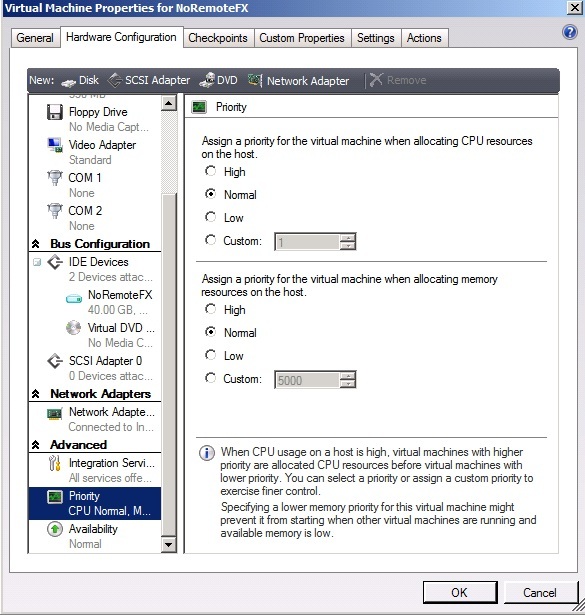 In VMM 2008 R2 SP1 RC, here is the snapshot on how to set the Dynamic Memory. You can configure Startup memory, Maximum memory and Memory Buffer. The top is for CPU Priority and the bottom the where you set memory priority. Rather than sliding bar as what display in Windows Server 2008 R2 SP1 RC, in VMM it is using option. You can select High, Normal, Low or a custom value. To View the value in VMM Administrator Console, you can add the column to view the similar display as Hyper V Manager snap in. 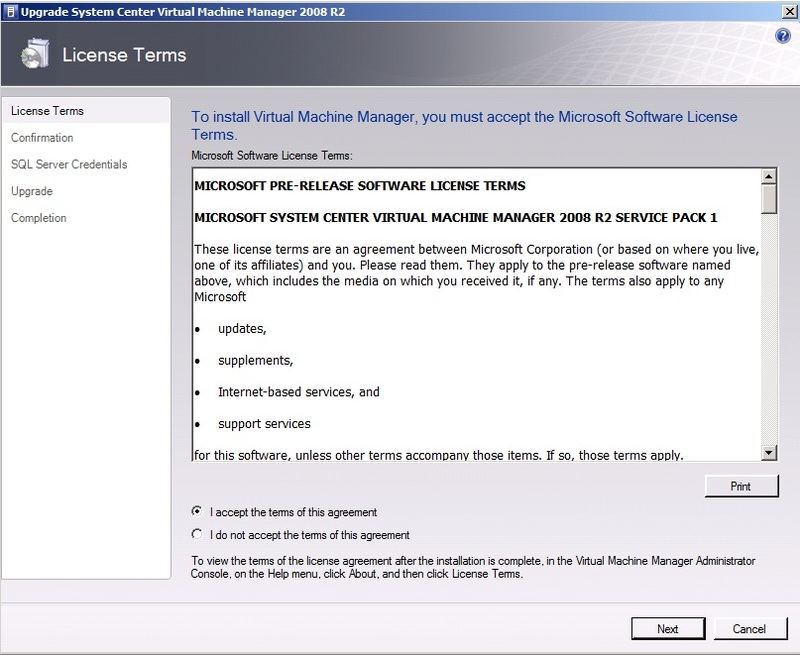 Last few days ago, product team has released a Release Candidate for VMM 2008 R2 SP1. 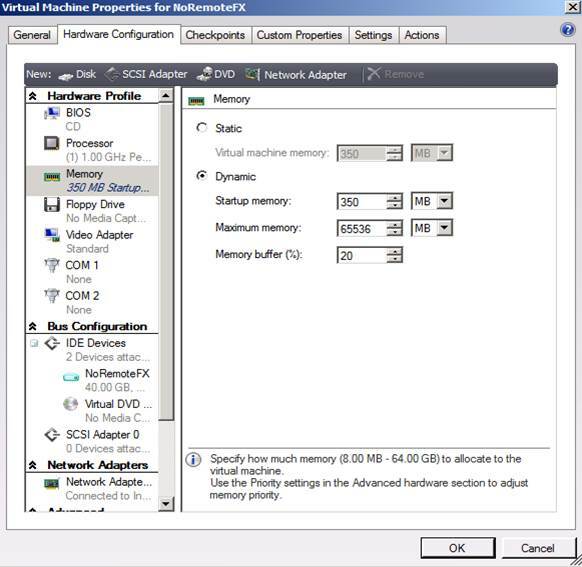 This SP1 RC included with previous hotfixes and the most important is the support for Dynamic Memory and RemoteFX which available on Windows Server 2008 R2 SP1. 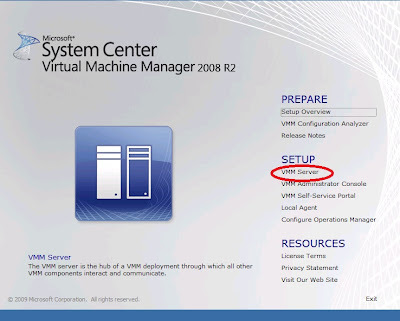 If you have access to MS Connect, you will need to download full installation of VMM 2008 R2 SP1 RC which consist of 3GB+ size. It did not came with a small file similar as other Service Pack or hotfixes. Without wasting any time, let quicky look into how you should you upgrade to this latest version. There are certain requirement that you need to take note. 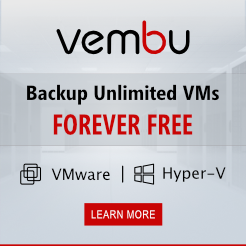 Before upgrade, make sure you have backup the VMM database in case for any failure during the upgrade process. 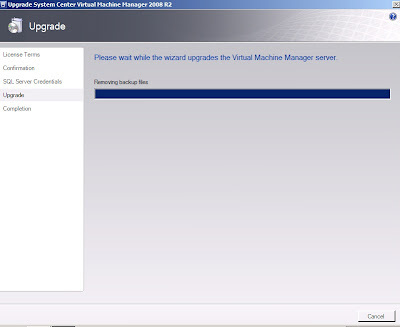 I have tried to upgrade VMM 2008 R2 SP1 Beta to RC1 but failed. The following error is appeared. 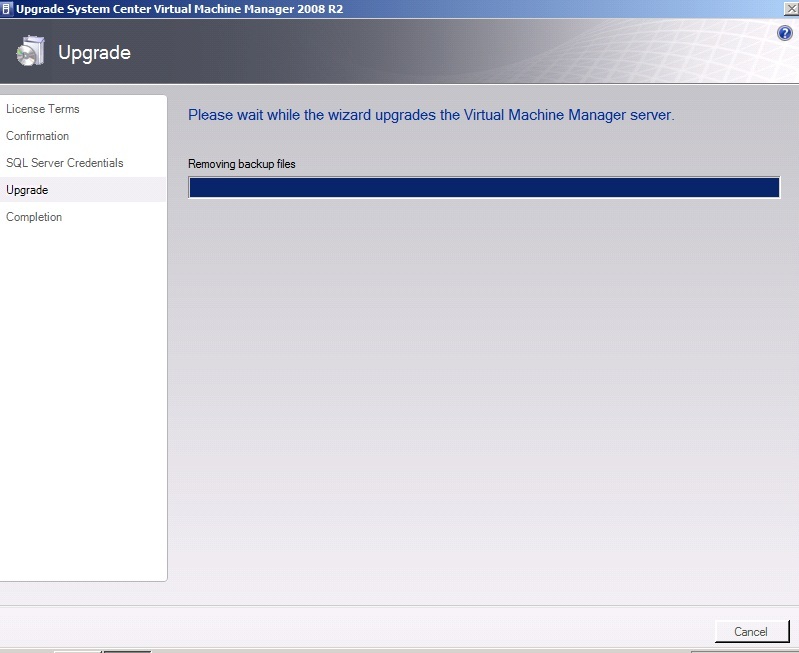 So let move to upgrade VMM2008 R2 to SP1 RC. 1. 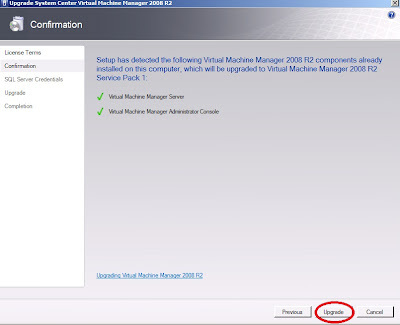 Put the CD and click on VMM Setup. 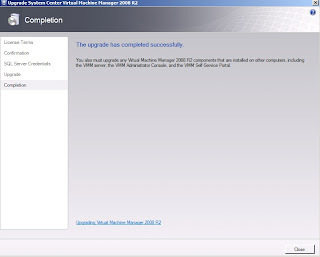 Upgrade process is similar as doing an installation. 4. 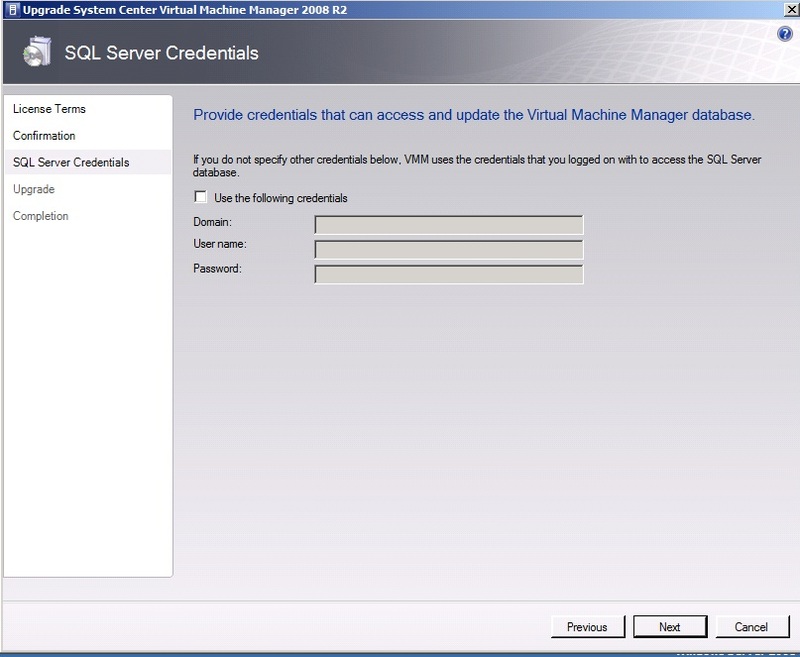 On SQL Credential, you can enter the authentication or click Next if current login user has the right to access the database. 5.Upgrade in progress. Just wait. 6. 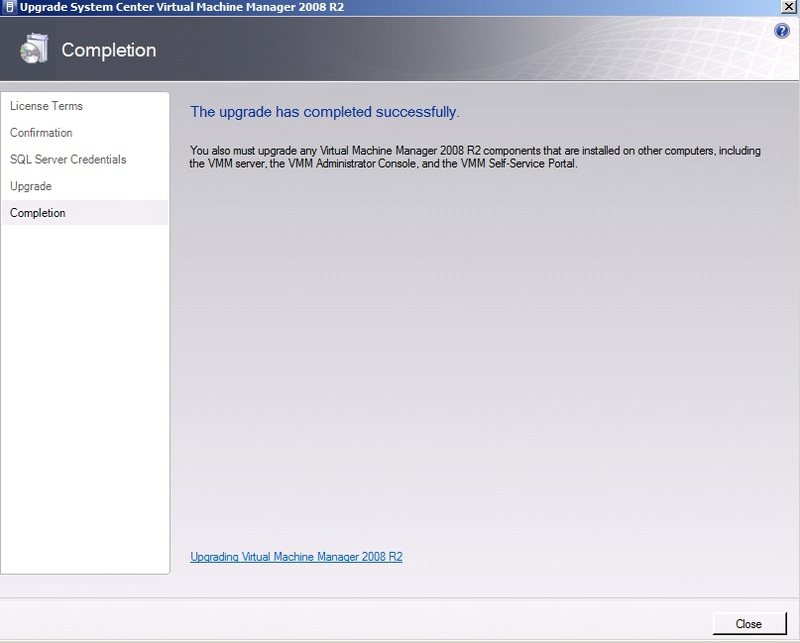 Once complete, open the VMM Console. 7. 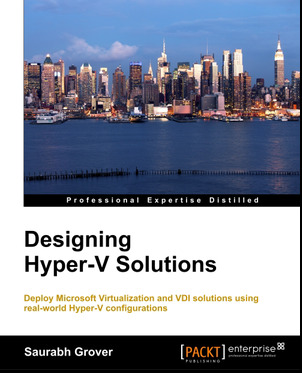 Refresh the Hyper V Host and VMM Library. Proceed to Administration and Select Managed Computer. Right click the Host and select Upgrade Agent. 8. Once upgrade of the agent complete, then the upgrade process is complete. Here is additional colum available after the upgrade. Finally, after a long wait and testing on the beta version, i'm gladly to announce that SCVMM 2008 R2 SP1 Released Candidate has released to public. 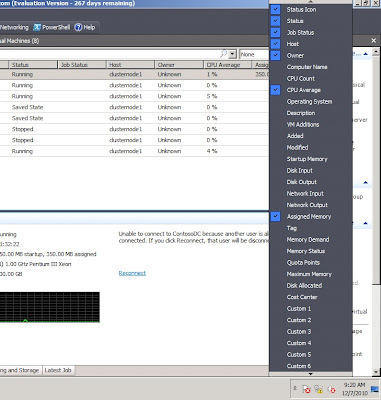 This released is to support Dynamic Memory and RemoteFX features which has released on Windows Server 2008 R2 SP RC. Time for me to remove the beta version and upgrade to RC. Before that, just to let you know, since this is a pre-release version, usage of this is limited to test environments. For interested users, please download from Microsoft Connect site.- Click here. Once i have finish downloading the 3GB file, i will post the updated info . Not sure if it’s a Microsoft or Citrix problem? Jump on the new Facebook forum to discuss your issue, share ideas, opinions, and information related to Citrix and Microsoft Virtualization products.